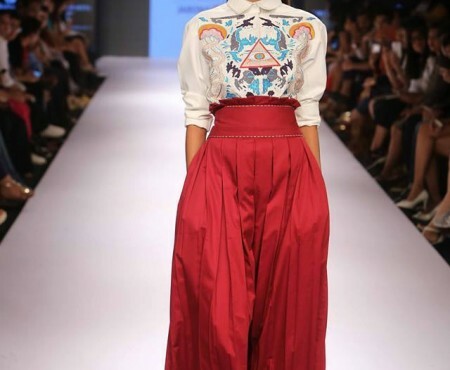 This month Spotlight is on designer label – Quirk Box, who debuted at the Lakme Fashion Week Autumn/ Winter 2013. 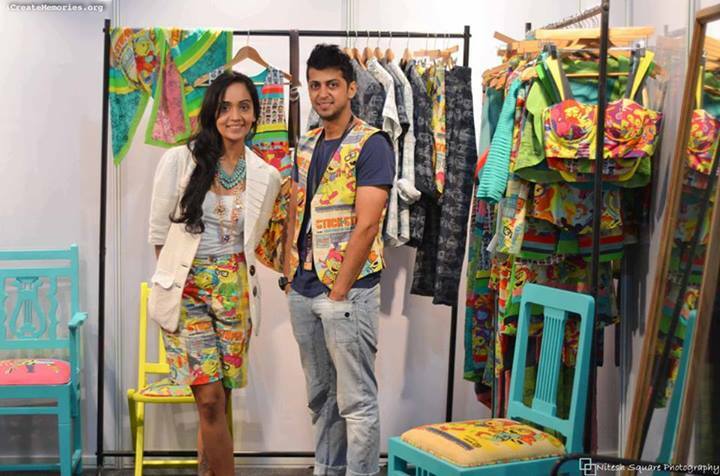 Quirk Box is the brainchild of Jayesh Sachdev and Rixi Bhatia who wear many different hats. While Jayesh is an artist, Rixi is a kitsch couture designer. Jayesh is the Founder/Creative Director of Emblem, a contemporary Art & Design studio. Rixi on the other hand, has earlier launched her label Half Full. 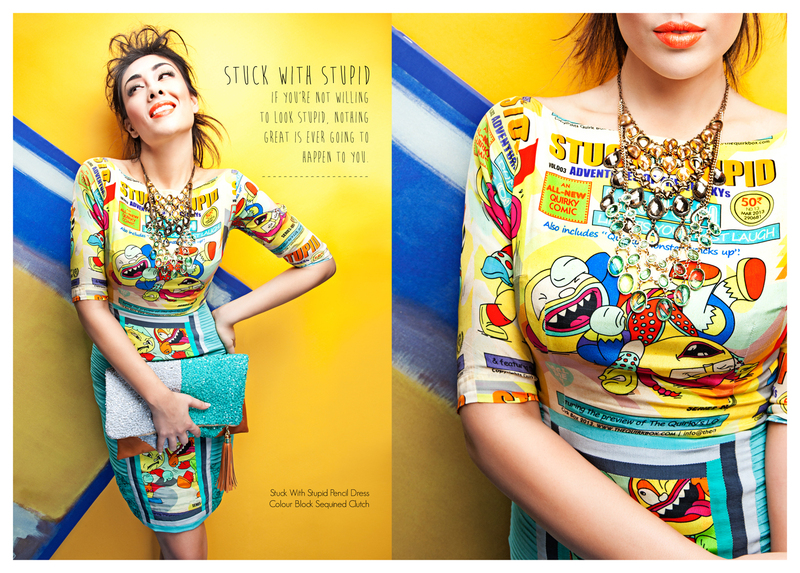 Both Cheeky and I love their kitschy and influenced by Pop Art, design sensibilities. We have been following this brand since we saw their ubercool minion boy friend jacket two years back and are super thrilled to interview them. MN: How was Quirk Box born? Wanting to extend our creative forte into new mediums, into new domains, wanting to create a label that we found exciting and original, that was unique and spelt individuality. When Art and fashion intertwined, Quirk Box was born. MN: About your latest collection? Quirk Box Resort Wear Line 2013 is by far the most detailed collection. Prints remaining focal point in this resort wear collection too; luxe and fluid fabrics like silk crepes, georgettes, and poplins have been introduced to elevate the print quality and vibrancy. Symmetry has been achieved with clean silhouettes and some Quirky embroidery. MN: You grew up in…? MN: What did you aspire to be when you wrote your school essays? MN: What do you think of when we say the following words? 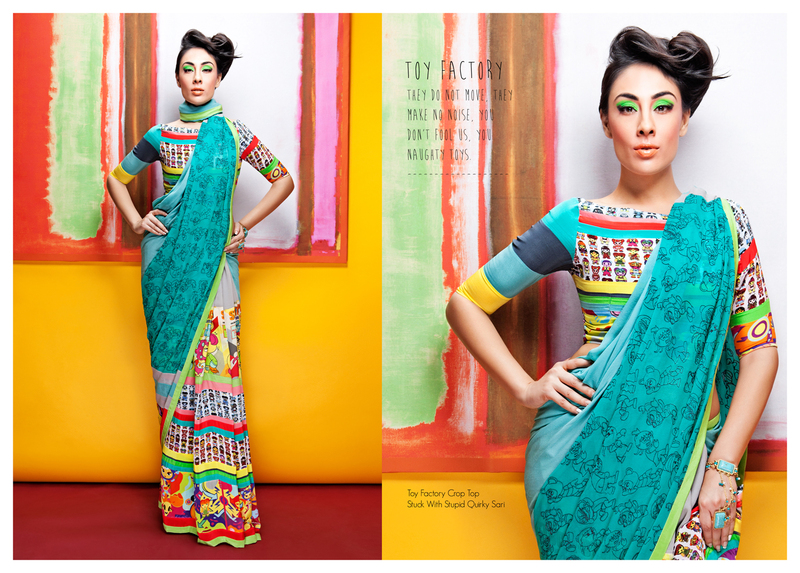 Indian handloom and textiles – Amazingly Vast and very culturally rooted. MN: What is your personal style inspiration? Different era’s of Fashion. Mixing the 40’s with 20’s. Top 2 styling tips for petite women? Work with shorter lengths and show some amount of skin to increase height. MN: Top 2 styling tips for curvy women? Curvy Women should wear silhouettes that enhance their waist, and not wear very exaggerated or boxy silhouettes. MN: Personal fashion faux pas? Staying fashion conscious rather than style conscious. Yes you can follow fashion trends, but always choose what works for you, be comfortable, don’t let fashion overpower your personality. MN: Do you read any fashion / style blogs? Which are your favorites? Design Taxi, Cool Hunter and Gor Design Blogs are a few to name. MN: What would you like fashion bloggers to do more of? 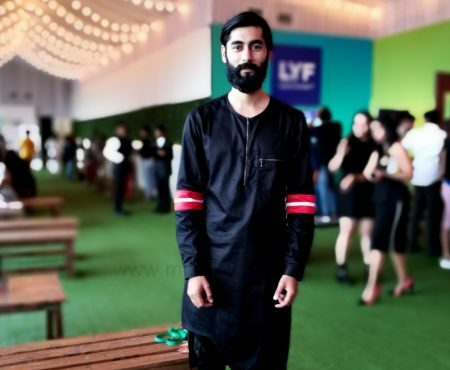 MN: Best Dressed Man in India? Best Dress Man Internationally? MN: Best Dressed Female Celebrity? MN: Crème Brulee or phirni? MN: Evening with a book or drinking with friends? Evening with friends over drinks discussing books. MN: Given a choice to work with someone or dress up someone – who would it be and why? We would love to Quirk up Anuskha Sharma, Farhan Akhtar, Kiran Rao and many many more. MN: Should designer wear be restricted to the elite? If not, how can one make it more accessible? Quirk Box started as a StreetWear & Lifestyle label. We have worked towards creating functional art which is uber cool and available to the masses at a reasonable price. The treatment to our Resort Wear line is very different, we have introduced richer fabrics, textures and silhouettes to elevate the collection and differentiate it from our regular Streetwear. We have also introduced detailing like pleats, embroidery and color blocking into our Resort wear collection which adds to the overall look of the garment. With two different lines Quirk Box is able to target two different markets now, the elite as well as the masses. MN: What next after fashion designing? 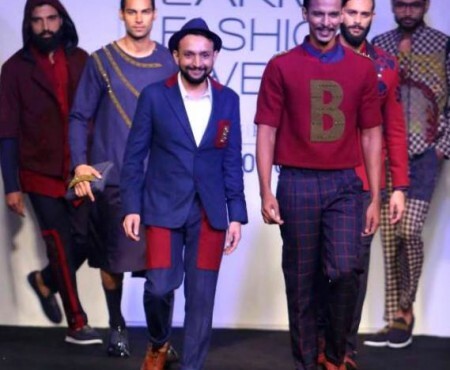 Lakme Fashion Week has opened new markets for Quirk Box. Also now the showcase at North East Fashion Fest will lead to new opportunities for the brand. The online market is also growing tremendously and Quirk Box is highly active on Social Media Platforms. Digital marketing and promotions along with collaborations related to Art, Fashion and Design are a few things Quirk Box is working on currently to expand its reach into diverse markets across and beyond India. 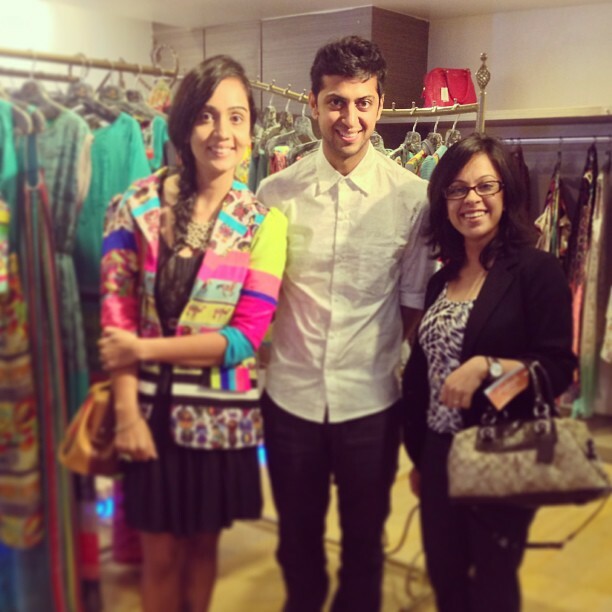 Art, Design and Fashion will always be the soul of Quirk Box. (All images were provided by Quirk Box).